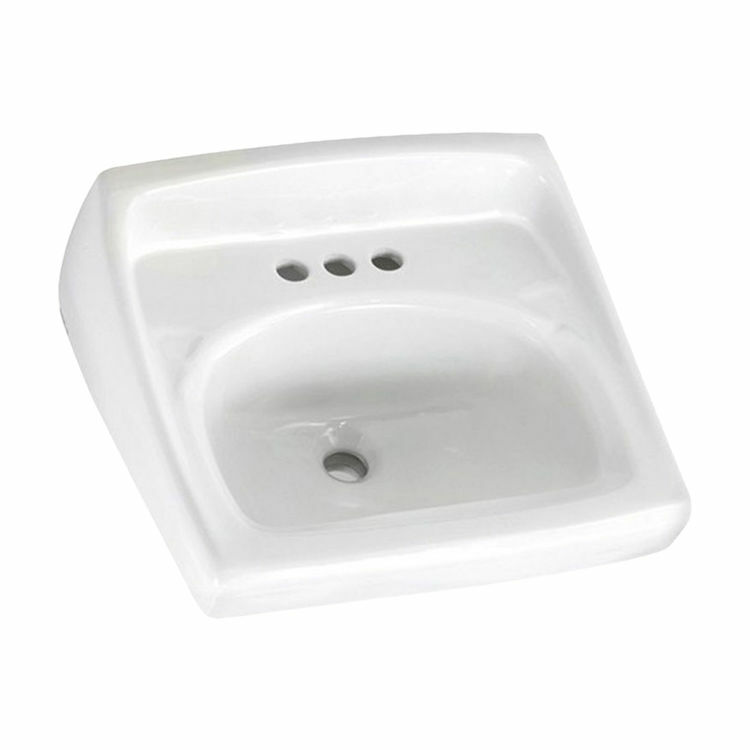 American Standard 0356.015.020 Lucerne Wall-Mount Sink, White. This wall-hung lavatory is constructed of vitreous china, and includes a front overflow, a concealed wall-hanger mounting, a D-shaped bowl, a self-draining deck area with contoured back and side splash shields, and a faucet ledge. This model comes with 8" centered faucet mounting holes, and it measures 20-1/2" by 18-1/4", with a 6-1/2" bowl depth. Shipping Dimensions 22.0" x 13.3" x 19.4"